Australian Labor party leader, Kevin Rudd, the scholarly former diplomat to Beijing who speaks fluent Mandarin, won a landslide victory in Sunday’s Australian elections, abruptly terminating the uninterrupted near-12 year reign of Conservative Prime Minister John Howard and ending his illustrious 33 year political career. 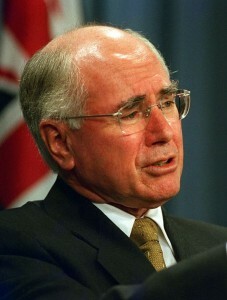 Like Winston Churchill in his day and many another politician, Howard misread the mood of the electorate. He underestimated the “its time for a change” factor which invariably leads to voters rejecting outstanding political leaders who have been in power for a long duration, even when they have brought affluence, as long as there is a credible alternative candidate. Many Australian Jews and Israelis will be deeply saddened to lose a leader whose genuine and unremitting friendship captured their hearts. John Howard was unquestionably one of Israel’s greatest champions among world statesmen and a unique friend of the Jewish people. His outspoken support for Israel during the difficult days of the second intifada and Second Lebanon War set him apart from other leaders, including those who regarded themselves as friends of Israel. 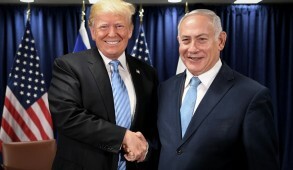 He regarded his principled support of Israel as a moral imperative and displayed contempt for the political correctness exemplified by the Europeans at international forums who were inclined to distance themselves from supporting Israel even when, by all objective criteria, the Jewish state held the moral high ground. The defeat of the Howard government will also see the retirement of Foreign Minister Alexander Downer and Treasurer Peter Costello, both of whom were enthusiastic supporters of Israel in their own right. The only saving grace is that Howard’s successor as leader of the Opposition will probably be Malcolm Turnbull, the former minister for the environment who also has a consistent track record of supporting Israel. The special relationship of the Howard government with Israel does not imply that their predecessors were hostile. Australia has a uniquely bipartisan track record of friendship with the Zionist cause which dates back well before the creation of the state. Since 1948 there has only been one leader, Gough Whitlam (1972-1975), whose hostility against Israel in the course of the Yom Kippur War made him an exception to the rule. Much of the credit for this can be attributed to the 120,000 strong, fiercely proud Jewish community which has a proportionately higher number of Holocaust survivors than any other Diaspora, and is recognized as being strongly Zionist orientated. There is considerable hope that the new Prime Minister Kevin Rudd will maintain Australia’s tradition of friendship. He has visited Israel twice, in 2003 and 2005. When I dined with him in Jerusalem, my initial impression was that although Rudd had a contrasting background and personality to Howard, he nevertheless displayed a genuine friendship. However I did harbour reservations subsequently when I heard that Rudd would invariably tend to support the “more politically balanced” approach on the Middle East exemplified by European abstentions on Israel-related issues in United Nations bodies. Rudd also distanced himself from President George W. Bush on Iraq and has committed his new government to a phased withdrawal of the 550 Australian troops stationed there. Yet by and large since assuming leadership of the Labor Party prior to the elections, Rudd has unquestionably displayed a warmer approach to Israel. When I met him again last month on a visit to Australia I was left with the feeling that despite nuances, a Labor government will remain closer aligned to the policy of the Howard legacy than most people visualize. In a parallel move related to the needs of the Australian Jewish community, Rudd committed Labor to provide $36 million of additional support for Jewish schools over a four year period. 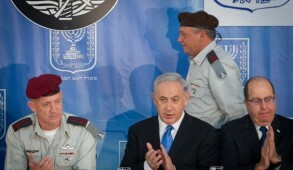 This included funds to cover the special security related requirements of Jewish day schools. This precedent is of great importance to a Jewish community which prides itself on having achieved the highest pro rata enrolment in Jewish day schools in the world. Needless to say, undertakings made prior to elections should not be taken for granted. Rudd will encounter opposition from within his party to the implementation of some of his commitments. 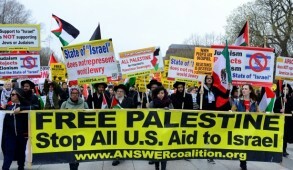 He will certainly face opposition from the radical pro-Palestinian wing of the party, described by a former Jewish Labor Party Minister Barry Cohen as “distinctly anti Semitic.” They will undoubtedly endeavor to undermine Rudd’s pro-Israel stance. However their chances of success are slim for they are politically marginal. The impact of Islamic fundamentalism, including the Bali bombing which killed nearly 100 Australians and the venomous public outbursts from some of the more radical Muslim clerics in Australia have undoubtedly influenced public opinion and weakened the Palestinian cause. In addition, after such a landslide victory at the polls, Rudd is now in a unique position of strength to ensure that his policies are implemented. 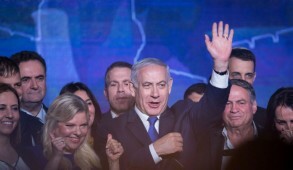 To summarize, all indicators suggest that the new government will remain pro-Israel. Only time will tell the extent to which it will fully replicate the extraordinary support of the former Howard government and resist the temptation to become more “even handed” at the UN and other international forums. Michael Danby, a committed Zionist parliamentarian close to Rudd, is quoted in the media as saying that on the eve of the elections, his leader had told a Jewish audience “that support for Israel and the Jewish community is in his DNA.” That surely gives grounds for optimism. 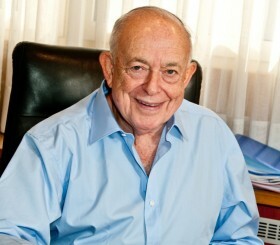 The writer was head of the Australian Jewish community for many years before making aliya.